One way to making a richly planted or even shaggy yard feel more manicured is to add a smartly design piece of hardscaping. Patios and paths not only define space but also provide the kind of contrast that makes a flower bed or lush lawn pop. If traditional surfacing materials leave you flat, consider concrete pavers from Redi-Rock of Central Maine. 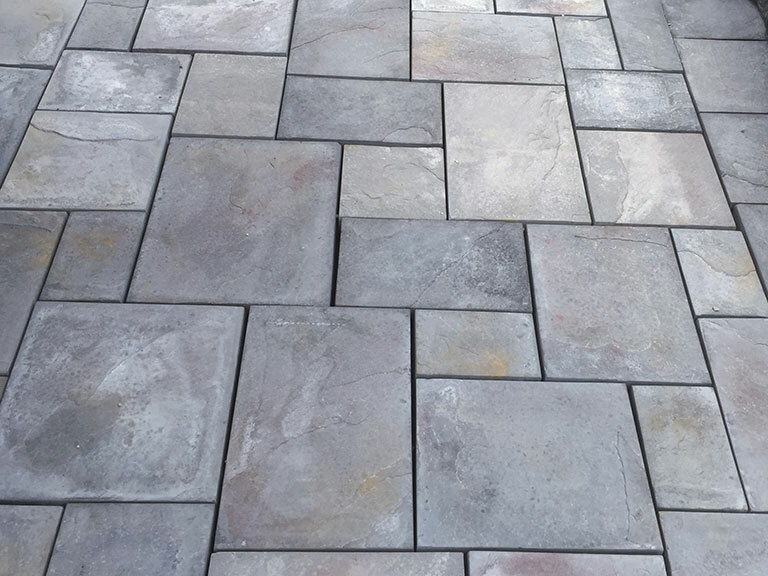 Our Flagstaff paver collection is an excellent choice for your patio and walkway project. They are more affordable than stone, more colorful than brick and more durable than asphalt, and is a practical yet attractive option anywhere on your property. Each paver is designed with the natural beauty and texture of real bluestone. Our pavers are made right here in Maine from architectural-grade precast concrete which gives them strength and long lasting durability. 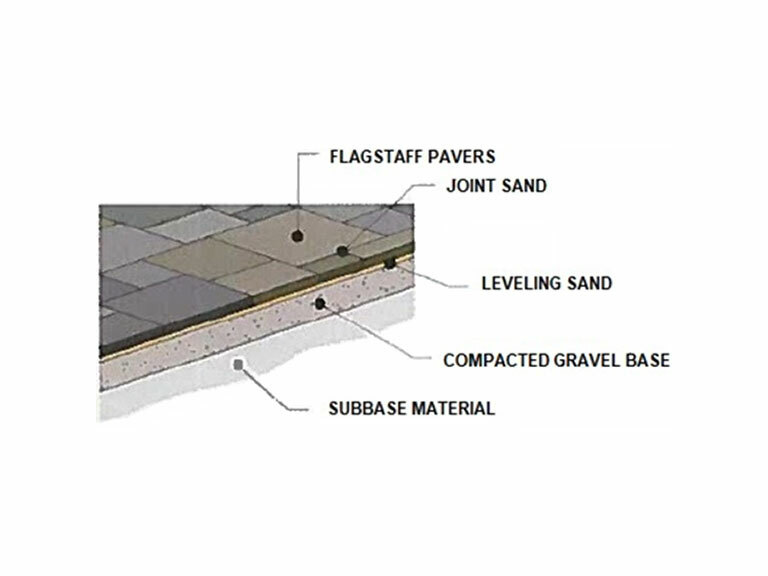 Our Flagstaff pavers can withstand the forces of weather, water and traffic and will remain beautiful for many years. We offer two series of pavers to allow you to design the idea patio or walkway appearance. 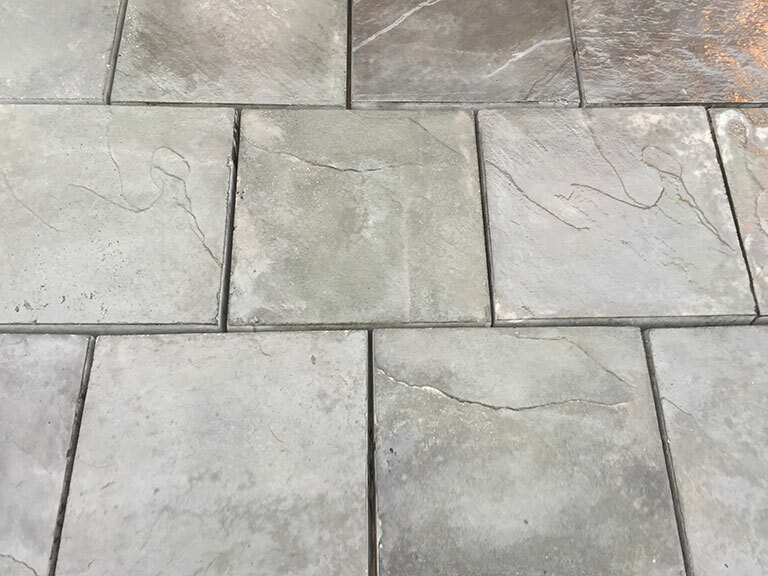 All our pavers are 2” thick and have a slight tapper from top to bottom for easy edge to edge installation with room to apply fine or polymeric sand between the paver joints. Our Flagstaff pavers will bring an elegant and natural stone look to any outdoor living space. The Sebec series offers 12" X 12" individual pavers that bring a more traditional and uniformed look to any patio or pathway. This series is great for DIY homeowners and can be easily installed following a straight or staggered pattern. This paver series is sold in individual blocks. 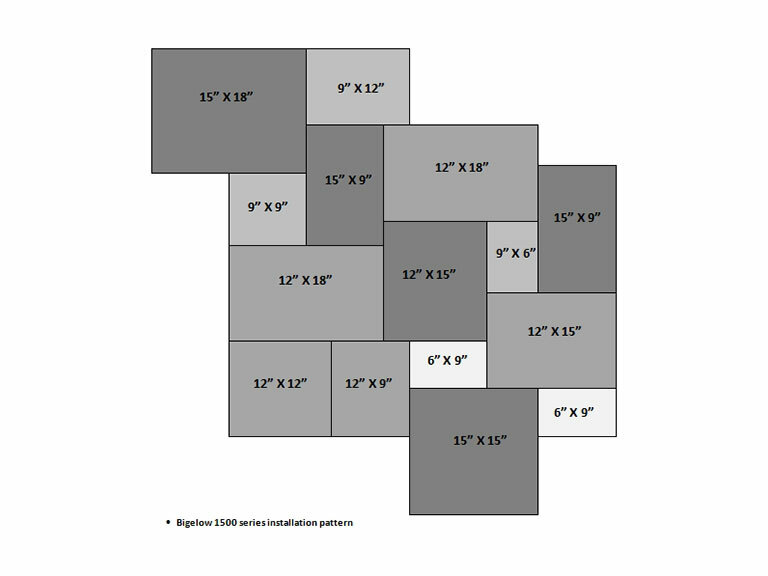 The Bigelow series offers a random pattern design with pavers that run from 6" X 9" to 15" X 18" with other various sizes mixed throughout the pattern. This paver series is only sold by the layer. Each layer consists of 15 pavers made up of 9 different sizes and the repeating pattern will cover an approximate area of 15 square feet when properly installed. You can click here to download the Bigelow 1500 series layout sheet in PDF format.